Nigeria’s Asisat Oshoala was named Women’s Footballer of the Year Asisat in Ghana’s capital city Accra on Thursday night. 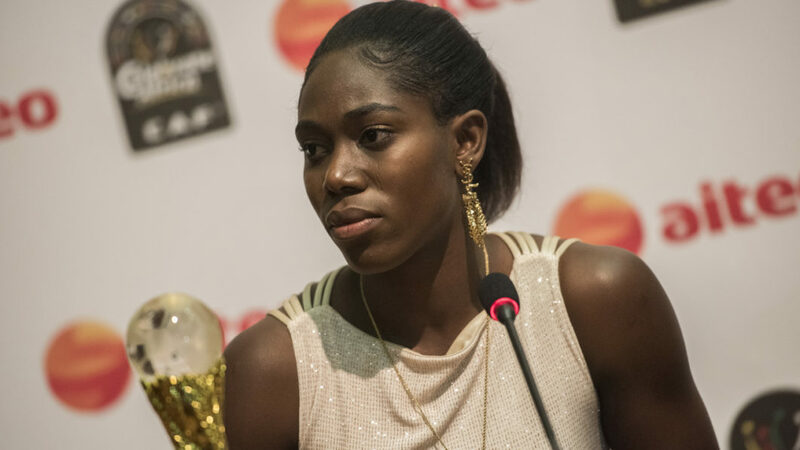 Oshoala previously won the award in 2014 and 2016. She beat Cameroonian Gabrielle Aboudi Onguene and Chrestina Kgatlana of South Africa to the top prize. The 2015 BBC Women’s Footballer of the Year moved to Dalian Quanjian of China at the beginning of last season after enduring a not-so-successful period in England with Liverpool and Arsenal LAdies. In her first season in China, she notched 12 goals including a brace in the final game of the season. Her exploits earned Quanjian a league and Cup double and she was crowned the League’s Best Striker.